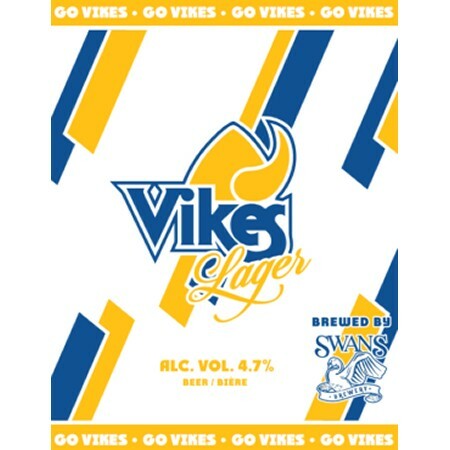 VICTORIA, BC – Swans Brewpub has announced the release of a new lager in support of the Vikes Athletics program at the University of Victoria. Lukie developed the beer and brand with full support of the University, which owns the Swans Hotel and Brewpub thanks to a bequest from the previous owner, philanthropist Michael C. Williams. Vikes Lager has been on tap at Swans since August, and is officially launching today (October 5th) with distribution to other local bars and liquor stores. Partial proceeds will go directly to Vikes Athletics.